Rachel Williams, who serves as Head of Corporate Recruiting, Diversity, and Inclusion for Yelp, has lots of ideas you can use for attracting top-tier talent. She joined Jason Lindstrom of BucketList to answer questions and offer advice on one of the most important topics facing managers trying to grow their companies. 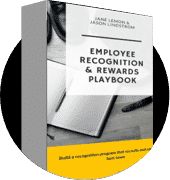 CEO Mary Miller joined Jason Lindstrom of Bucketlist to talk about how she helped Jancoa overcome a 400% turnover rate to become a company with highly engaged employees. Miller guided the company to annual sales exceeding $15 million with more than 500 full-time employees by focusing on the needs of her employees as well as her customers.